The country was once rich in natural resources like gold, oil, and minerals. The landscape boasted beautiful mountains and beaches. Migrants and refugees from all over the world flocked to it as a haven, making it rich in diversity and human capital. As one of the wealthiest countries in the world, it was known as the “Switzerland” of Latin America. Venezuela is no longer an idyllic hub for refugees seeking relief – quite the opposite: Venezuelans are fleeing the country. Formerly eradicated diseases have emerged, the health system is crippled, and about 300,000 children are at risk of dying from malnutrition. Scarcity of food and medicine causes about 50,000 Venezuelans to cross the border to Colombia daily for food and medicine, and approximately 5,000-7,000 of those per day opt to stay in Colombia rather than return. The country suffers from severe hyperinflation; its fiat currency, the bolívar, is unstable. Cryptocurrency is already playing an important role in bringing humanitarian aid to Venezuela. Cryptocurrency – and other blockchain technologies – can be powerful tools to undermine authoritarian regimes and rebuild economies. But their potential uses reach much further than what is currently being applied. The specific need to subvert authoritarianism, which is helping fuel crypto adoption in Venezuela, may prove to be a stepping stone to other applications of the technology. Cryptocurrency, done correctly, is censorship-resistant, immutable, borderless, and decentralized. In an episode of 35 West, Moises Rendon of the Center for Strategic and International Studies (CSIS) and Alejandro Machado, founder of the Open Money Initiative, explained how this makes cryptocurrency an ideal tool to send remittances to people in countries where the government exercises tight economic control. A remittance is when an expatriate sends funds to their country of origin, and Venezuela is fast become a remittance hub. The regime is using food as a weapon to control the people, Rendon said, but people are finding ways to buy food through independent markets made possible by cryptocurrency. Wiring money through Western Union is no good because the government takes 56 percent of each transaction, and the dollars are converted into a useless currency, the bolívar, Machado explained. Venezuelans are setting prices in dollars and Colombian pesos because they have lost faith in the bolívar. But if expatriates outside Venezuela convert their dollars into cryptocurrency, the recipient of the crypto in Venezuela can convert it back into dollars or pesos via an exchange and use it to buy food and medicine. 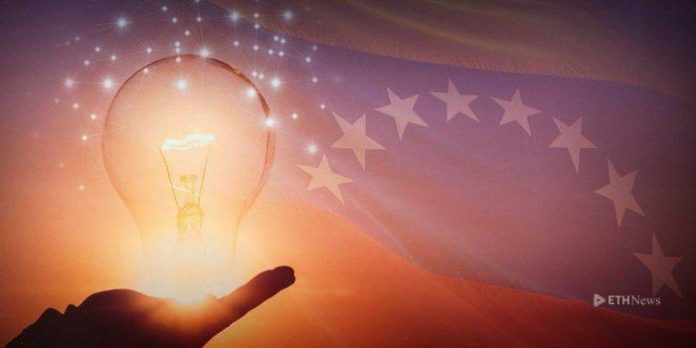 Machado spoke about cryptocurrency’s potential to create an alternative, independent economy as its use in Venezuela and other authoritarian countries grows. Living under hyperinflation means you are a slave of the state, he said. But if you have an alternative form of money to use, a different kind of economy can flourish. People under authoritarian regimes may also be able to exchange goods and services with the outside world using cryptocurrency. Dash is working hard to fuel mass adoption in Venezuela and other parts of Latin America, which could go a long way in creating that alternative economy. As of December 2018, Dash had sold Venezuelans over 66,000 KRIP phones, inexpensive smartphones preloaded with cryptocurrency and a digital wallet. The Dash team has also rigorously promoted Eletropay, a new Dash point-of-sale device. It has been particularly successful in Colombia, where the number of merchants accepting Dash went from one in January 2018 to over 350 by the end of 2018. Once a merchant has decided to try Eletropay, the team provides training on how to balance their books and where to change their Dash Digital Cash into fiat so they can pay their suppliers and employees. They also train each merchant staff member to manage, operate, and download a Dash Digital Cash wallet. In December, Dash Venezuela’s fund proposal was renewed, and the team has chosen 30 target cities in Venezuela. In the past, Dash Venezuela has hosted large events to introduce people to Dash, but it is adopting a new, more integrated approach in 2019 that it hopes will prove even more effective. It will continue to host official Dash events on a smaller scale but branch out to have a presence at events, like concerts and conferences, hosted by other organizations. Rendon highlighted some of the common features of oppressed societies: surveillance and social control, rigged voting, lack of government transparency, and denial of civil liberties, property rights, and press and internet freedoms. He suggested blockchains could aid in government transparency and access to public data. The technology could also be used to build effective and accessible dispute mechanisms; currently, the justice system in Venezuela is used as a political tool, and people can literally buy rulings in court. Rendon suggested blockchains can also help secure property ownership; Venezuela is ranked one of the worst countries to protect property rights. These innovative ideas start to unpack just a little of what’s possible with blockchains. And with more creativity, lots of work, and global collaboration, Venezuela and other oppressed societies just might be able to achieve the impossible. Like what you read? Follow us on Twitter @ETHNews_ to receive the latest Moises Rendon, Alejandro Machado or other Ethereum application news.